Mexican food is the bomb. I could eat it every. single. day. This is the kind of food I need in my freezer. At my beck and call, all day, everyday. Here’s what you need to make some right now…. 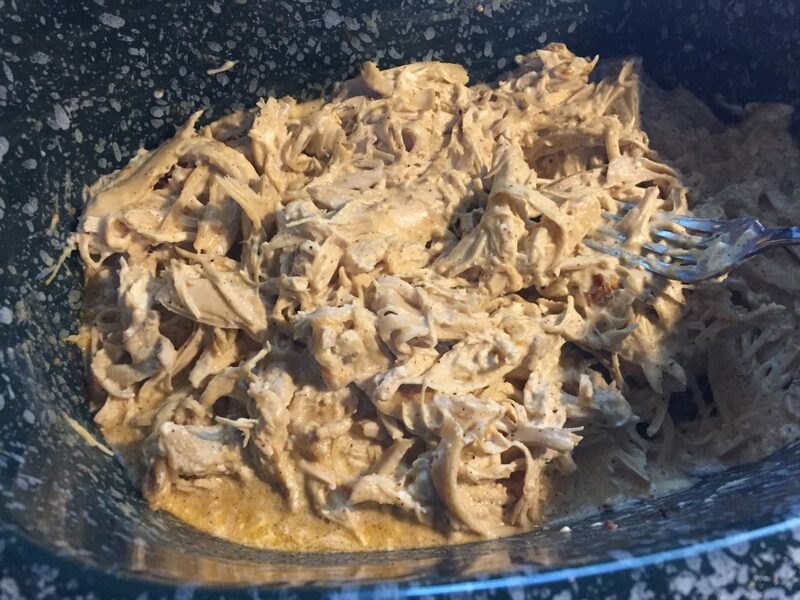 Shred chicken and return to the slow cooker. Stir to combine all ingredients. Place 3-4 Tbsp. 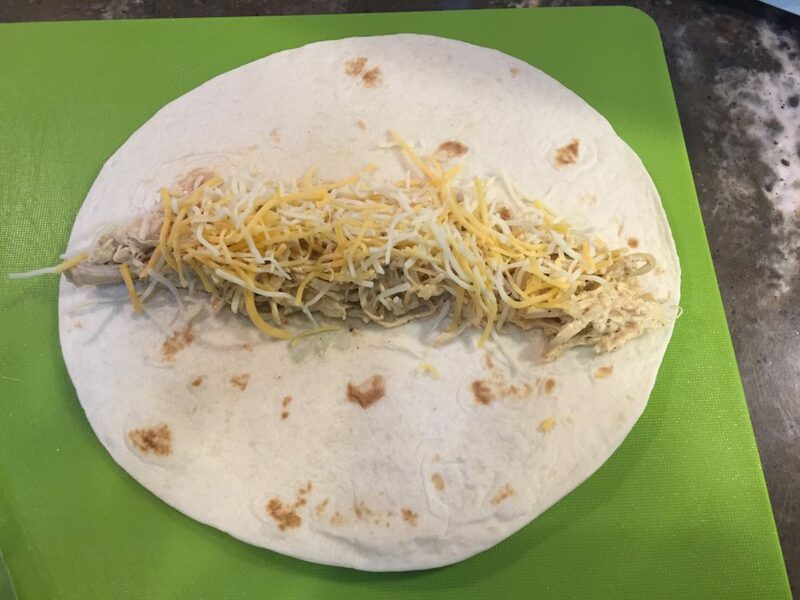 of chicken filling onto each flour tortilla. 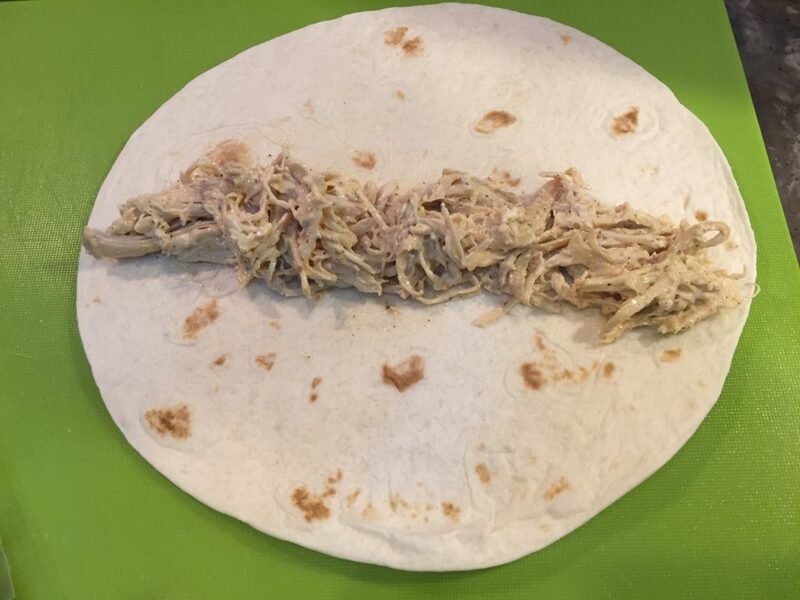 This recipe made 18 taquitos for me. I made two freezer packs with seven taquitos in each pack. I baked the rest for dinner. Preheat the oven to 400°. Place the taquitos on a baking sheet and bake for 15 minutes. 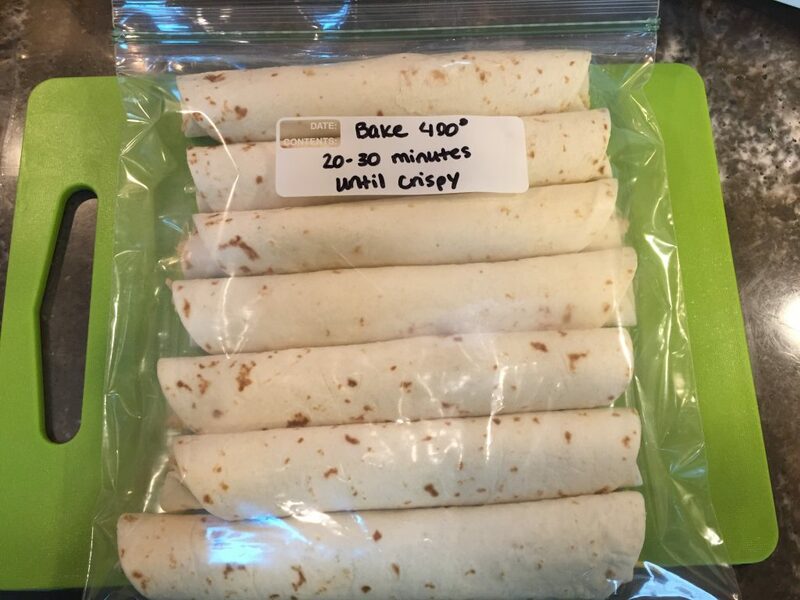 Turn the taquitos over and return to the oven for 5 more minutes. You want them to feel crispy, similar to a fried chimichanga. 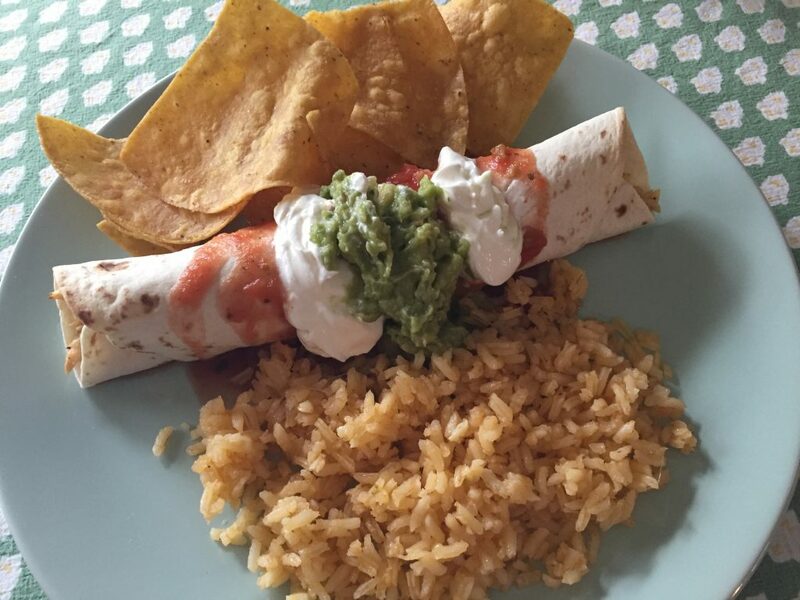 Top with salsa, sour cream and guacamole and serve immediately. These work great as car food or picnic food. Toppings are optional. 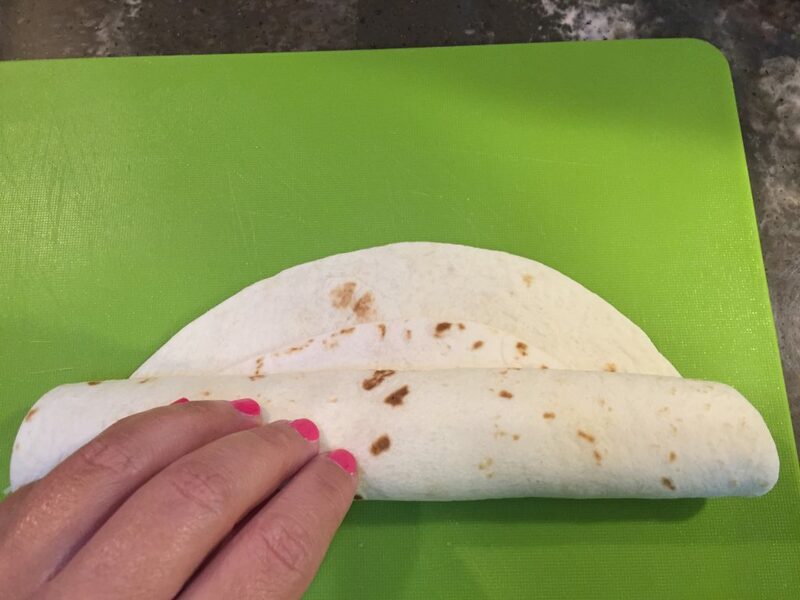 This base recipe can also be used to make appetizer taquitos using smaller taco size shells. My husband likes to take these to work and just heats them in the microwave. Lots of ways to eat this yummy recipe!